With no access to running water, John’s family fills 50-gallon drums with river water to use for bathing, cooking, washing and irrigating their crops. John’s water story is unfortunately very familiar to EWB-USA. 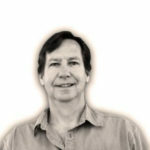 What makes John’s community unique is that he does not live in a developing country thousands of miles away. John lives right here in the U.S. — in our own backyard. For John and others living in Navajo Canyon in Arizona, isolation is a considerable barrier to water access. The canyon is one of the most isolated locales in the 27,000-square-mile Navajo Nation. The families live 1,000 feet down in the canyon, which is only accessible by a single-lane dirt road. John’s community is working to find water access solutions by partnering with the EWB-USA Great Salt Lake Professional Chapter (EWB-USA GSL) through the Community Engineering Corps (CECorps). The chapter will provide the engineering expertise necessary to deliver water to irrigate the crops they depend on for survival. The EWB-USA GSL project team is comprised of fresh, mid-level and seasoned engineers. 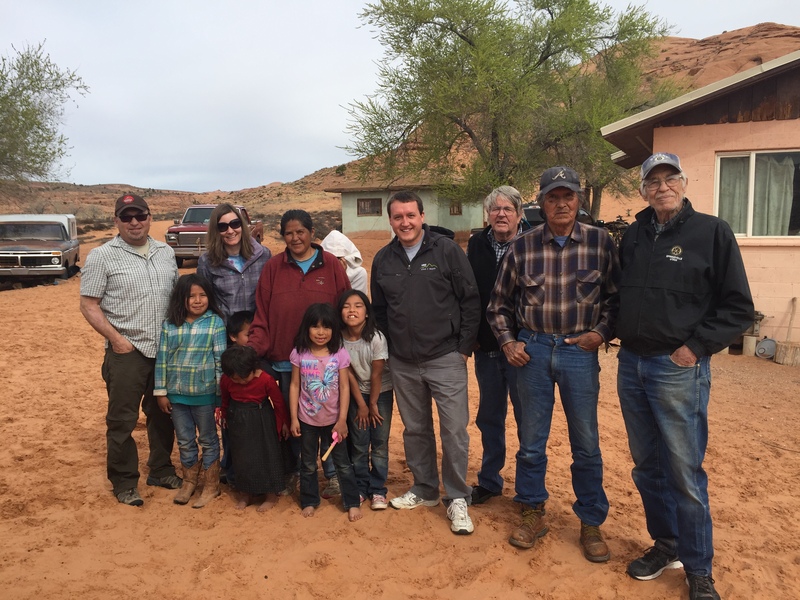 Several of the team members have also volunteered in nearby Navajo communities and are sensitive to the cultural needs of the community being served. To bring water directly to the families in the canyon, a supply line will be constructed to a natural spring source located half a mile from the community. A catchment system will be installed to catch water at the spring site and pipe it down to the community. According to project manager member Ben Rood, PE, the enthusiasm for the water project has been infectious throughout the community. Even family members that moved out of the canyon to be closer to basic human services have returned — from as far as two hours away — to help on project work days. Ben and the rest of the project team hope that reliable water access will encourage families that moved away to return to their canyon home. A huge turnout is expected this fall when implementation of the new water system begins. The EWB-USA GSL volunteers will oversee construction. Once construction is complete, the team will also instruct the community on how to maintain and operate their water system. John’s community is just one of many in the Navajo Nation that lack access to running water. With this in mind, the EWB-USA GSL project team is already looking ahead to what is next for them upon project completion. The team would like to partner with other communities in the region and possibly replicate the project underway in Navajo Canyon. “Once we are done with this one, we’ll be ready for the next one,” said Ben. Luckily for the EWB-USA GSL team, the pipeline of approved projects is plentiful! The CECorps currently has eight projects ready to deploy enthusiastic and highly-skilled volunteers like Ben and to empower communities to meet their basic human needs. If you’re interested in learning more about these opportunities, contact cecinfo@ewb-usa.org.